Lego is one of the most known toys in the world. With small colorful blocks and pieces, kids of all ages just can’t get enough of them. When different shows and movies were released based on it, I guess more kids went crazy about them. It’s one of the most flexible party themes around, there’s just no limit as to how far you can go with this theme. From the colors, shapes and characters, inspiration can be found everywhere! Take for instance Apollo’s awesome birthday bash, inspired by the Lego movie, they nailed the cool details perfectly. Every corner was decorated with construction themed elements! I can’t help but feel elated upon seeing all these wonderful snaps. Everything is just awesome here in Apollo’s par-tey! The construction tapes used at the entrance provided the perfect tone for the party. Also present at the entrance area to greet the guests was a life-sized 3D version of Emmet. For their ceiling treatment, these hanging construction tapes did the job amazingly. It’s the perfect no fuss detail that wonderfully gave a nice accent to the whole venue. Inspired by the movie poster, check-out their stage backdrop. I’d say the crane looks really cool. More construction themed party must-haves seen in their table setting. I like how these floating balloons tied-up their whole venue setup together. Drool-worthy offerings by The Creamery Catering. Spotted some brightly colored yumminess in their sweet treats spread. From Apollo’s cake to those Lego themed sugar cookies, cakepops and oreopops, everything looks too cute to eat. Lego and sand activity tables provided by Smart Play to make sure every little guests have their hands full while these fun shows kept the energy going all through-out Apollo’s party. These colorful mason jar mugs served as their giveaways. PS: Those Lego elements at the cover lids instantly make it so much cooler. Here’s Apollo and his fambam. hi there. I would like to ask how much was the cost of the entire package? Excluding the venue. Thanks a lot. HI, I want exactly the same theme (Lego the Movie)with my son who turns 7 this coming Feb04 but we are planning to celebrate on the 7th of feb2015. Kindly send me a quotation please..
Had a bad experience with Creamery Catering. Food was fine but their cater waiters were caught stealing a guest’s iPhone. It doesn’t look like it was the first time they did it too. The phone was found without the case and sim card already. This is sad. Thanks for sharing, I’ll forward this incident to the management of The Creamery Catering. Thanks for the great post! I wanted to share a few Lego Movie Instant Downloads I found. There’s lots of great stuff But I particularly love the Birthday Banner because it also includes every letter of the alphabet so you can write whatever you want! 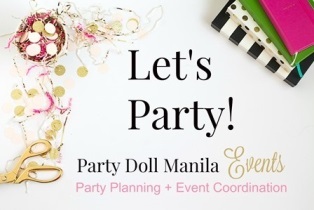 Finalizing 7th bday of our son ths week…viewed this post and very much interested so could you pls give me an idea for 100 pax from party host-caterer-lego decor/activities- qc venue please? Kindly direct your inquiries to Party Station. Thanks!